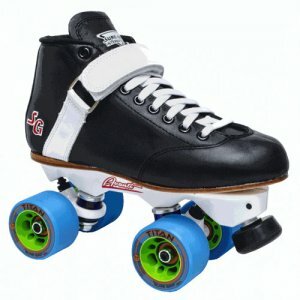 ﻿ Sure-Grip Phoenix Skate - $349.00 : Bruised Boutique, For Derby. By Derby. The New Phoenix Skate Package from Sure-Grip is made from 100% genuine leather uppers with a full leather stitched sole. All new stronger counters added and a stronger inforced toe for more durability. The newly designed removable power strap conforms to your foot giving you the flexibility to adjust when needed. The Phoenix has a roomy toe-box to give your feet room to flex. Tested and approved by derby skaters. WHEELS Your choice of Sure-Grip Wheels! Prices may vary. PROCESSING TIME Please allow 5-7 business days to process orders for these skates.